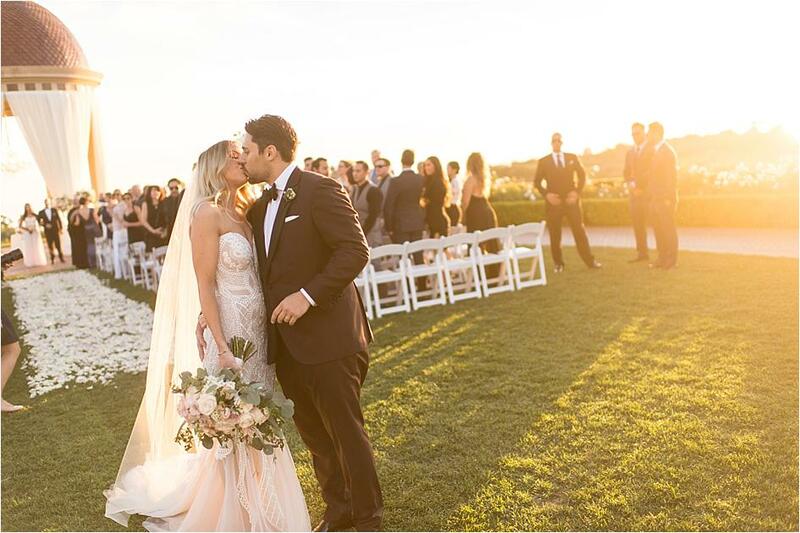 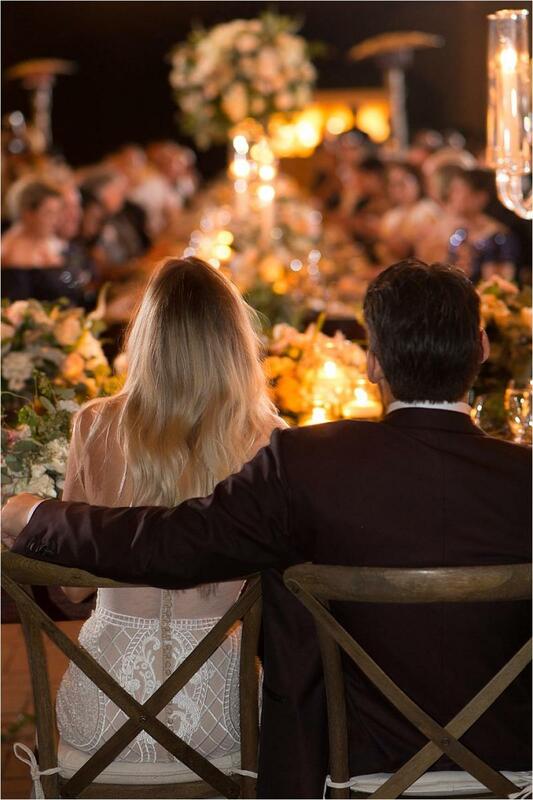 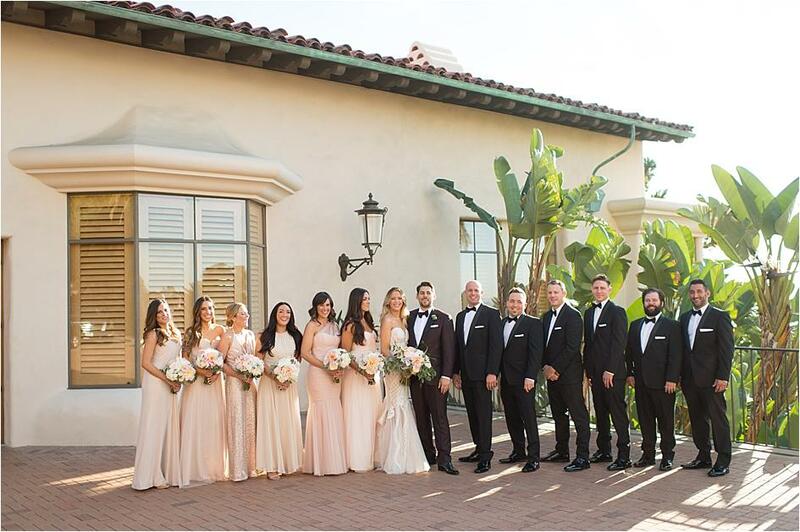 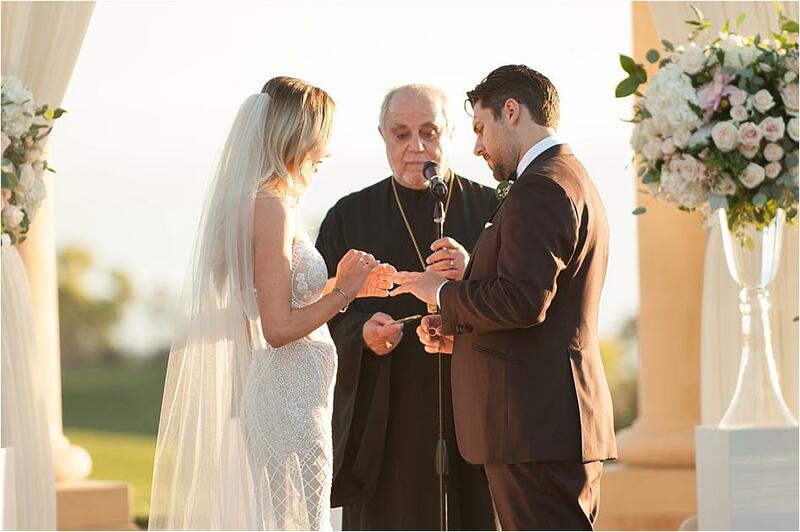 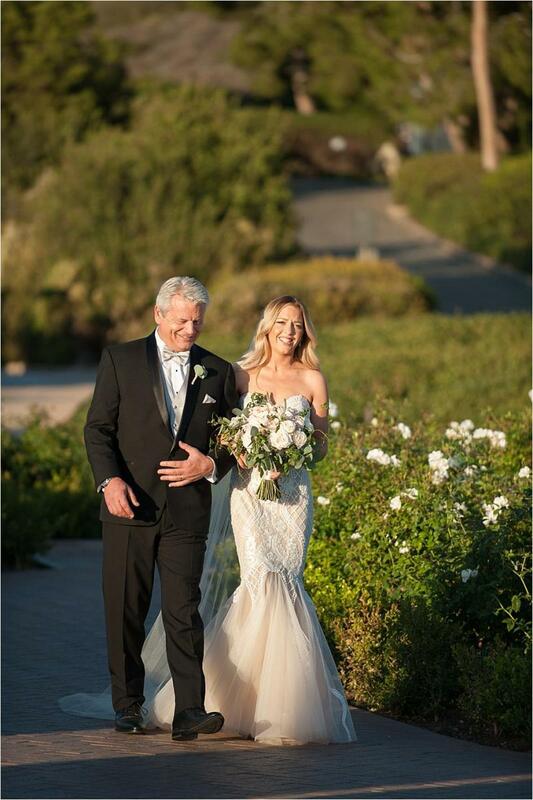 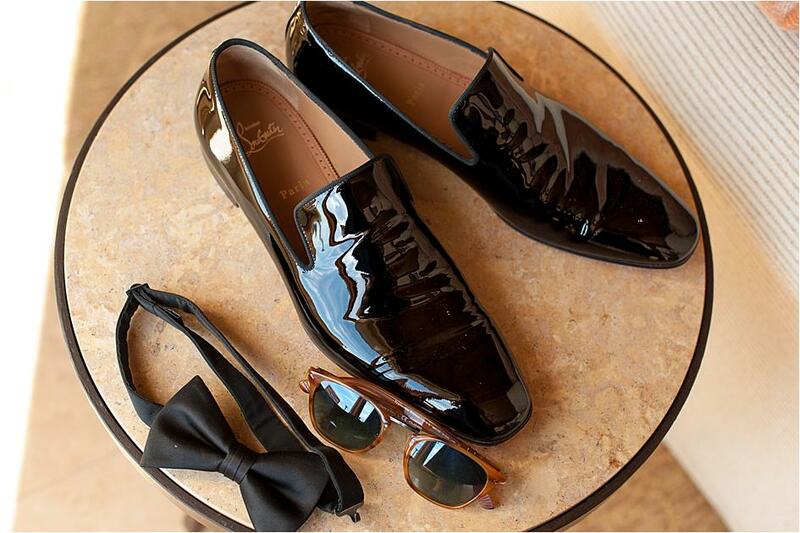 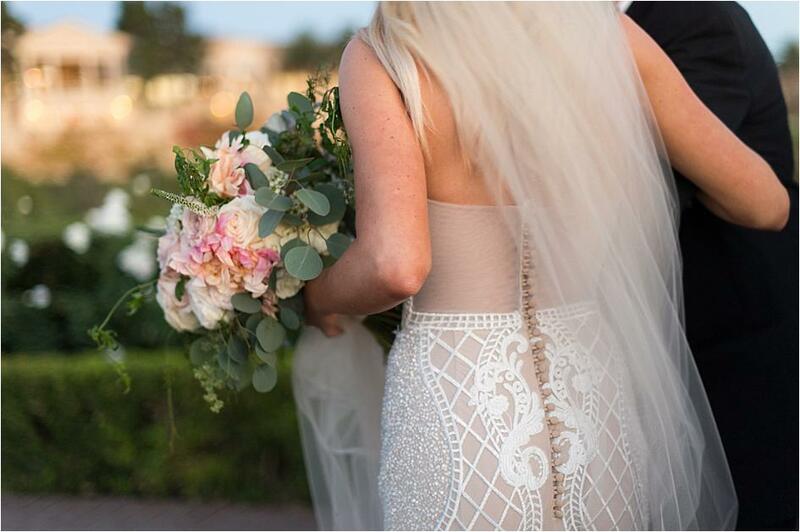 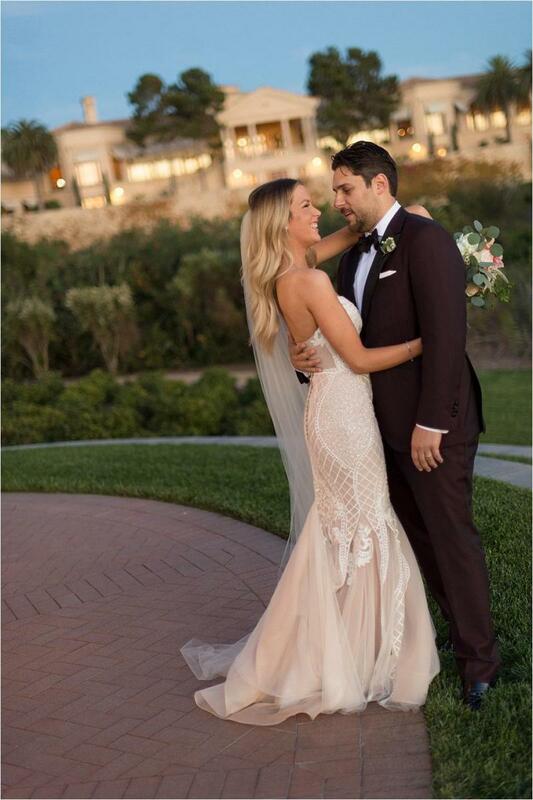 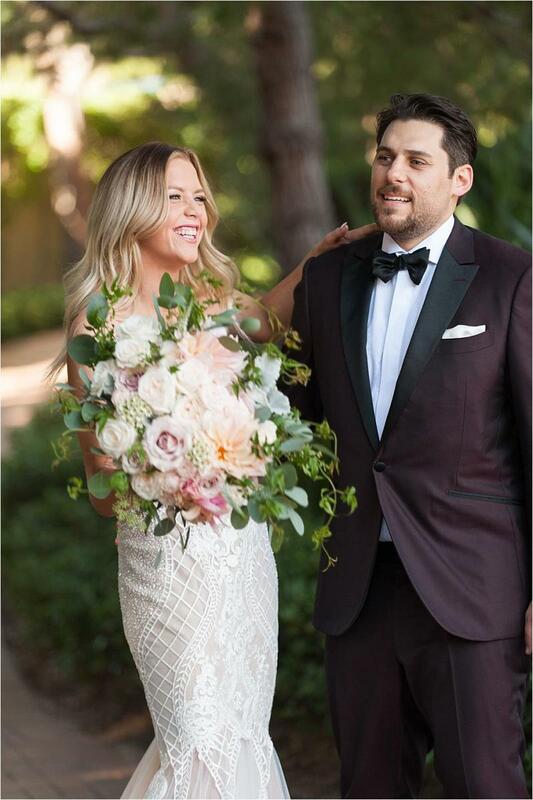 Virginie and David tied the knot during a beautiful wedding at the incredible Resort at Pelican Hill in Newport Beach. 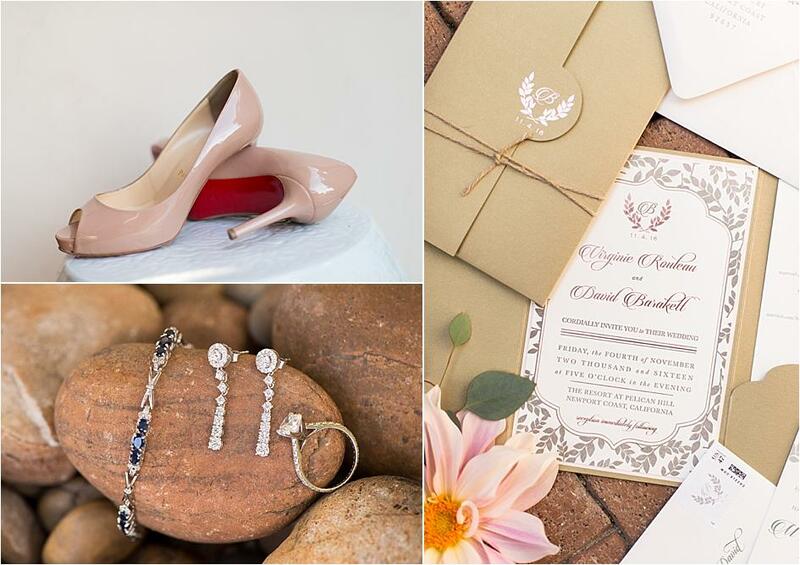 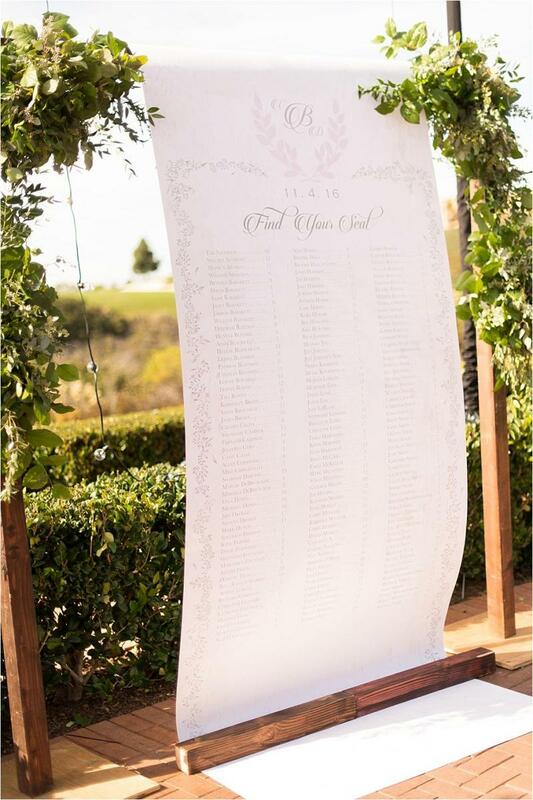 Honeycrisp Designs created a one-of-a-kind invitation suite that provided a sneak peek of the stunning wedding to come. 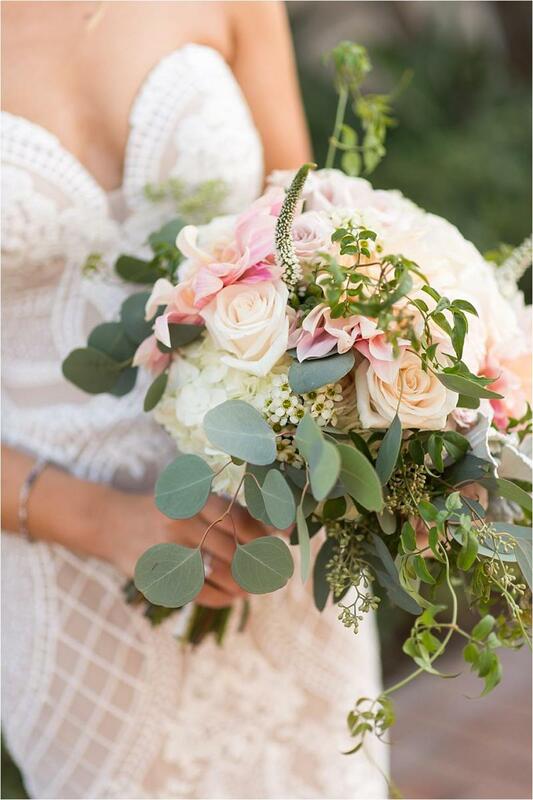 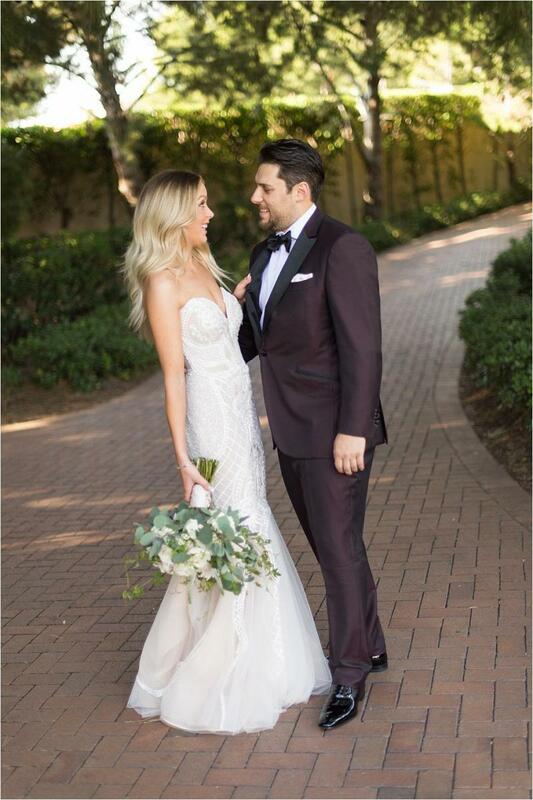 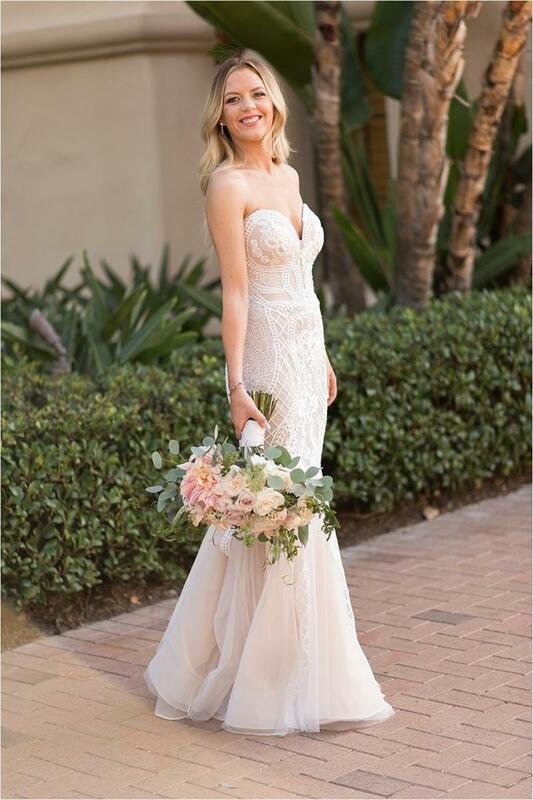 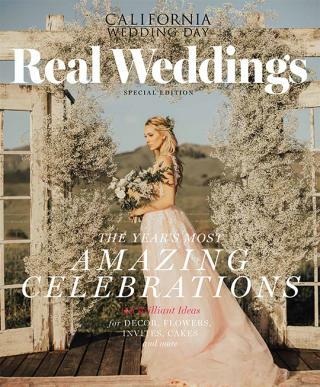 The day was filled with all things elegant and chic, including Virginie's amazing wedding gown and stunning bouquet crafted by Flowers by Cina. 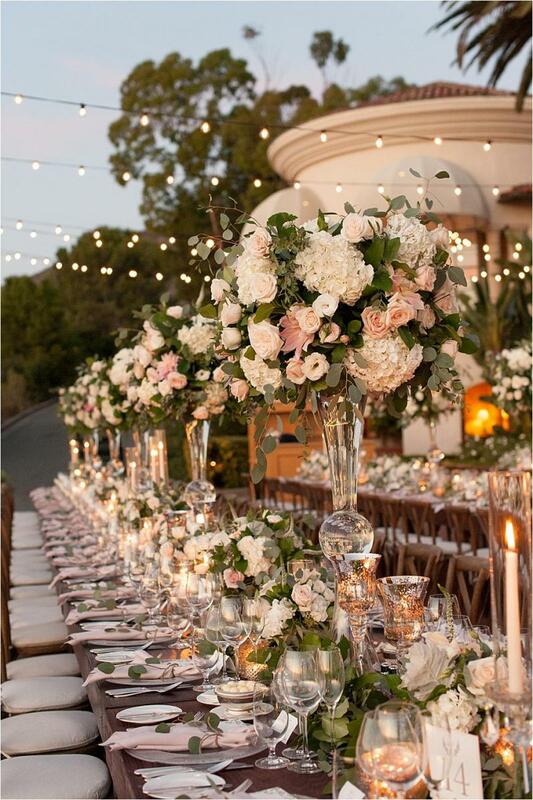 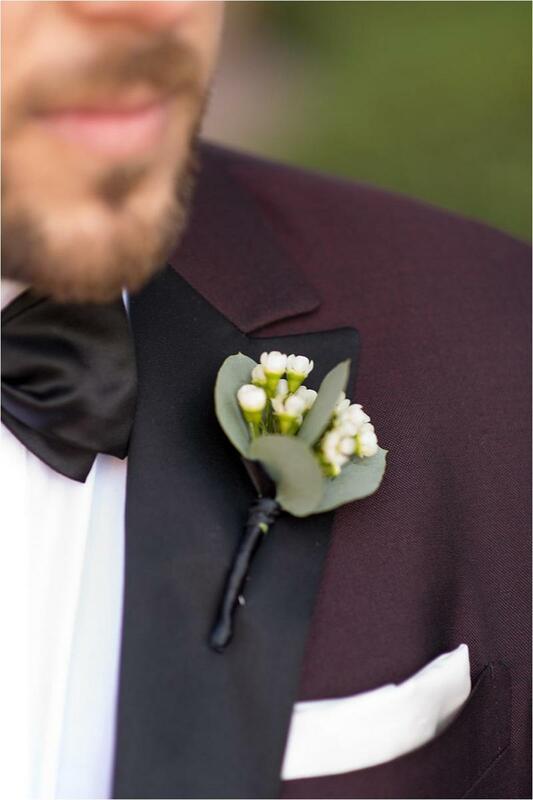 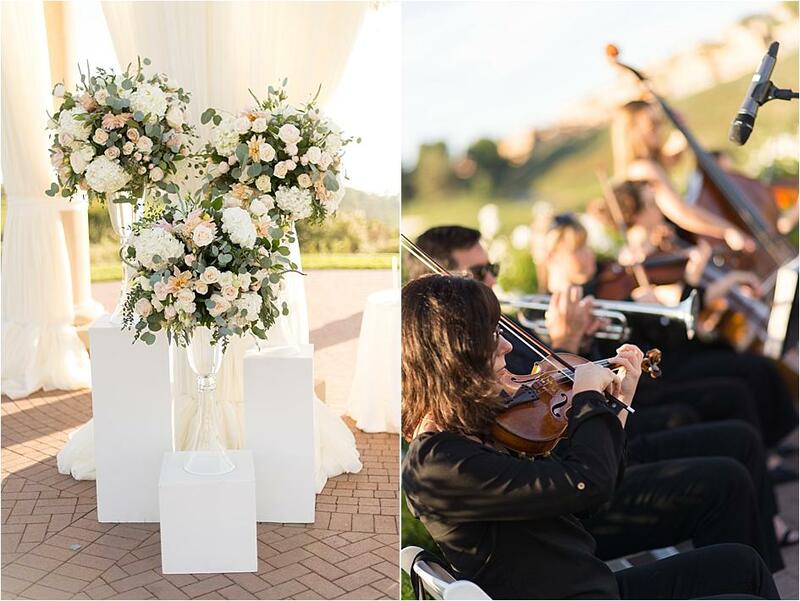 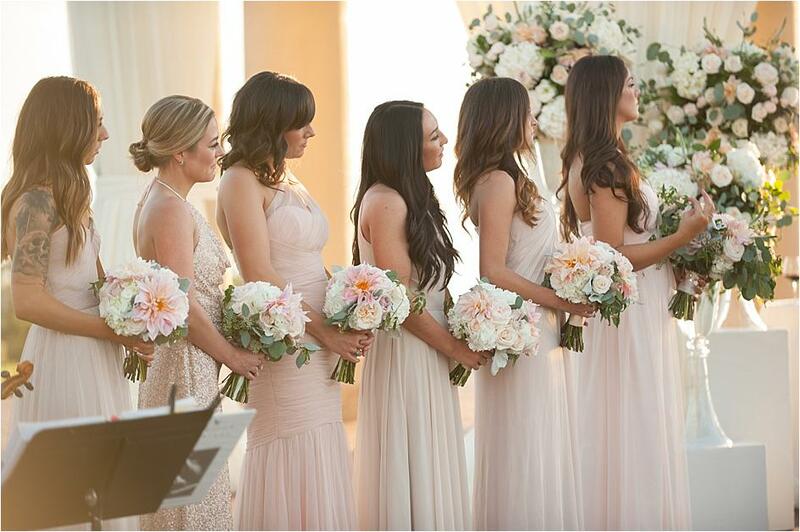 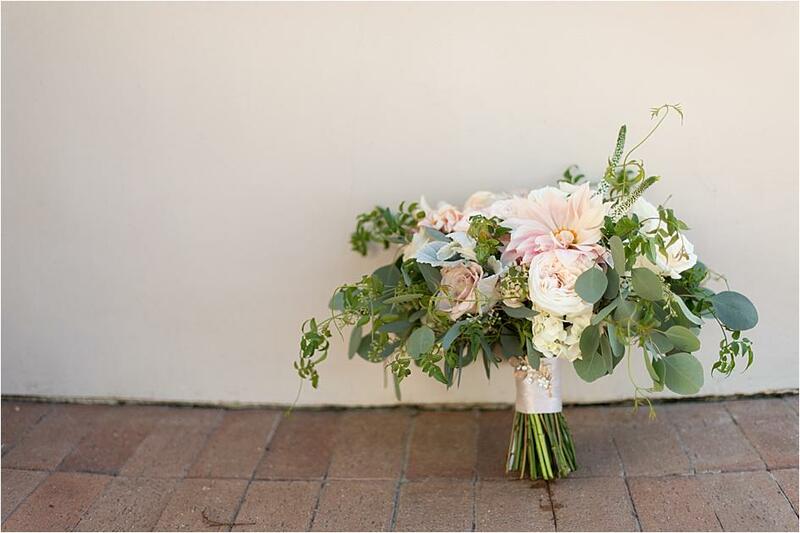 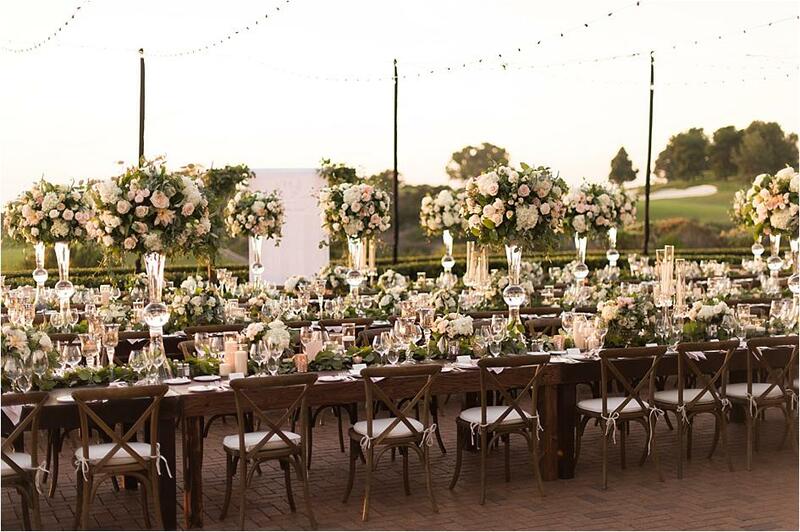 A refined palette of blushes and neutrals set the scene for the celebration, a floral-filled event full of love. 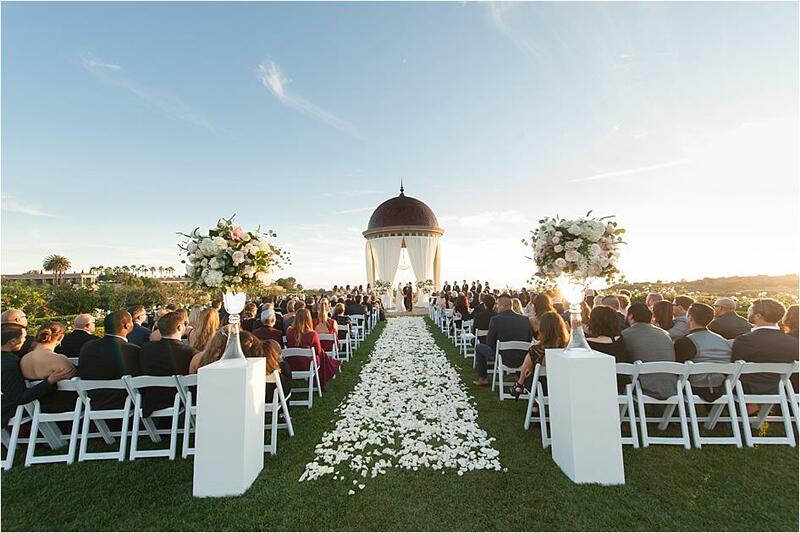 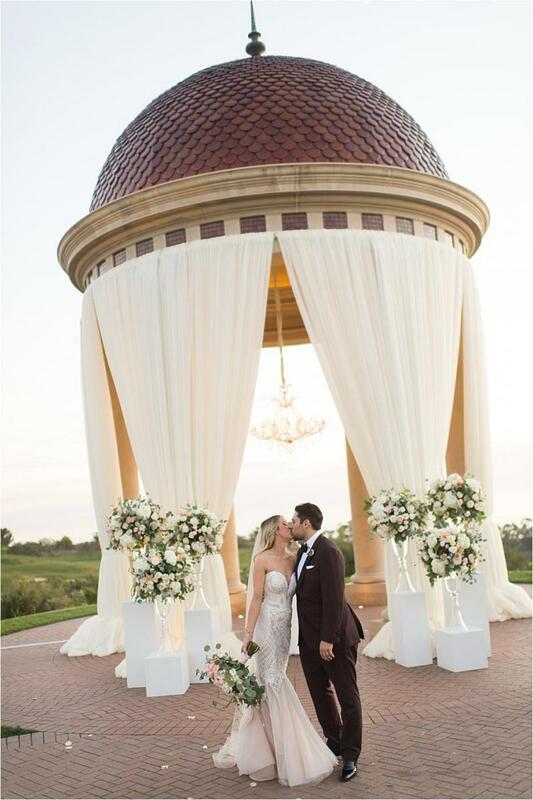 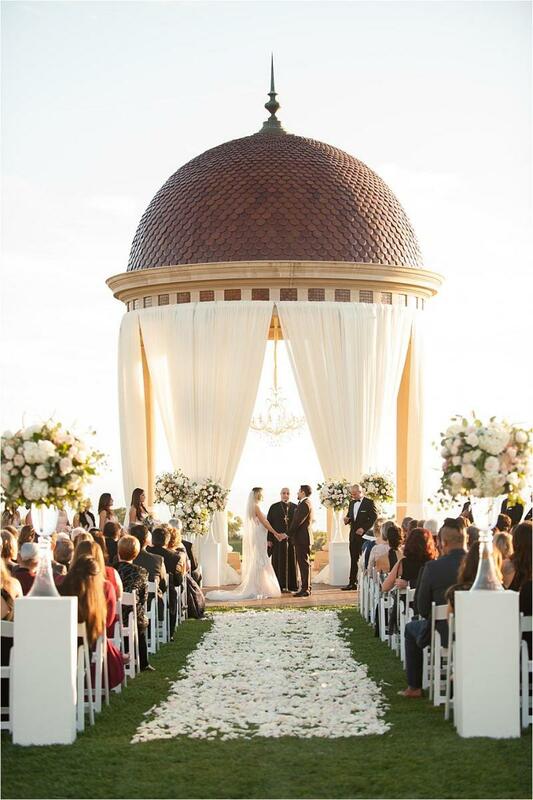 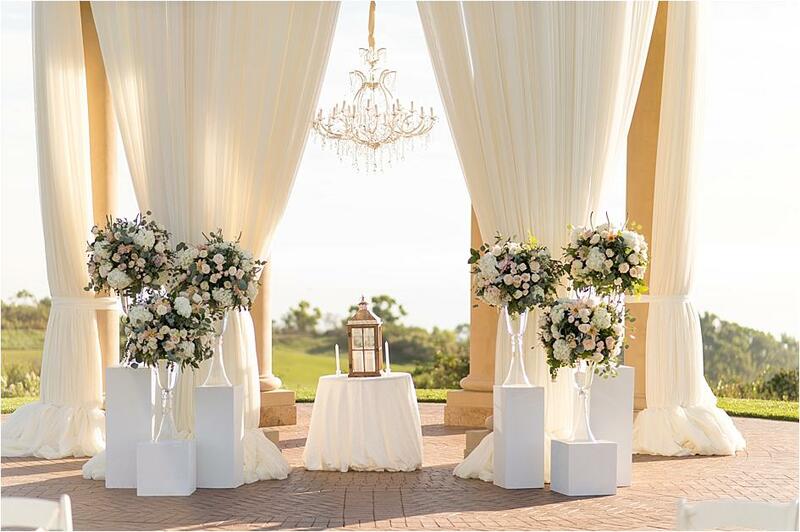 The two were wed beneath the iconic Italian rotunda situated 300 feet above the ocean, where amazing floral arrangements and lanterns paired with romantic draping and a glimmering chandelier provided the perfect ceremony decor. 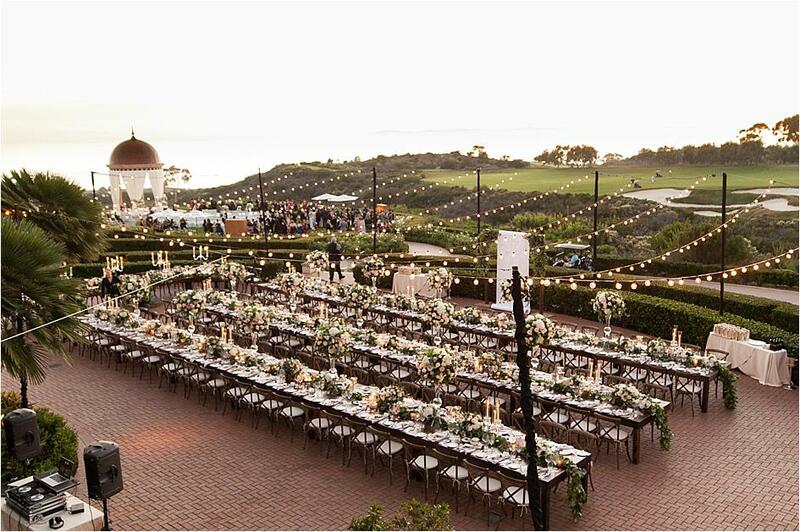 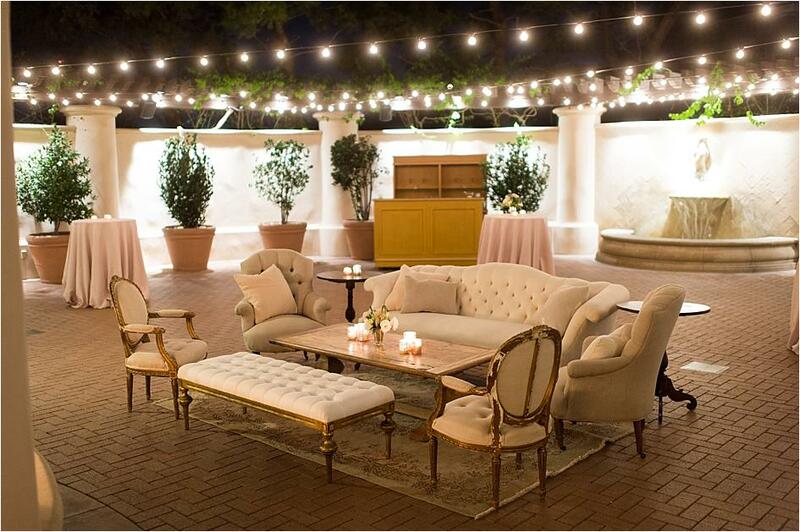 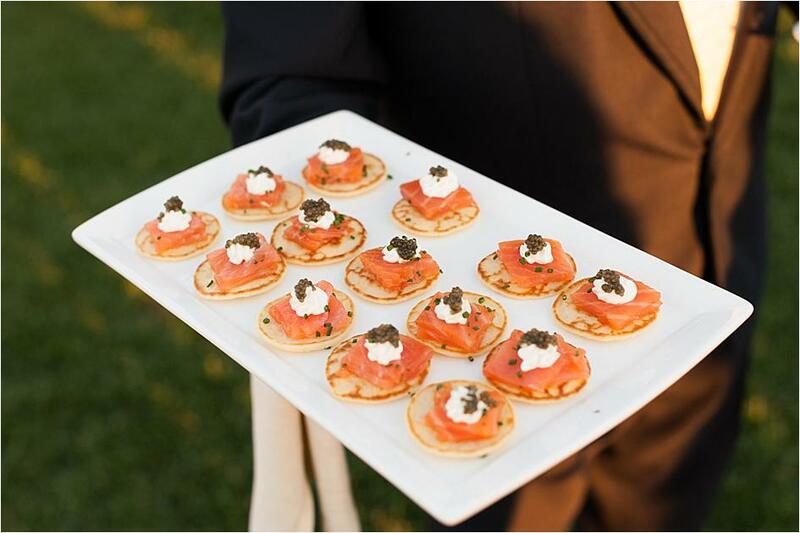 Guests were welcomed to a breathtaking reception on the outdoor patio. 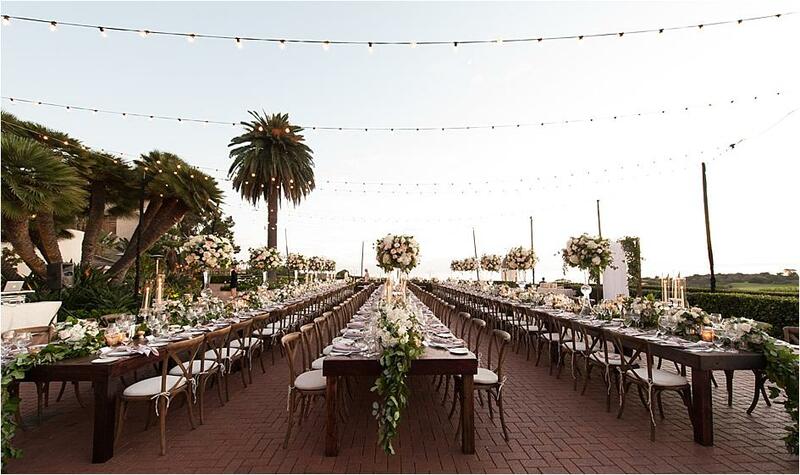 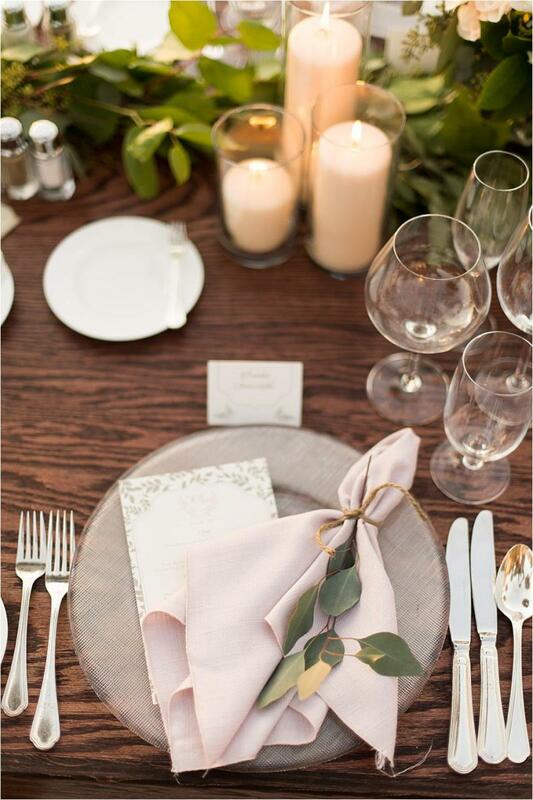 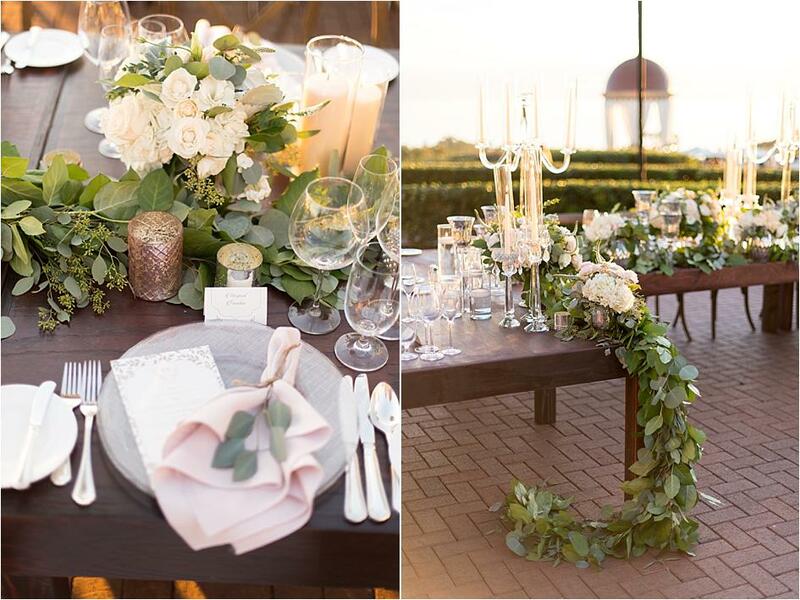 Bistro lighting brought a romantic ambience to the space, while long dining tables adorned in greenery, florals and blush-hued linens from Luxe Linen beautifully married the ceremony and reception designs. 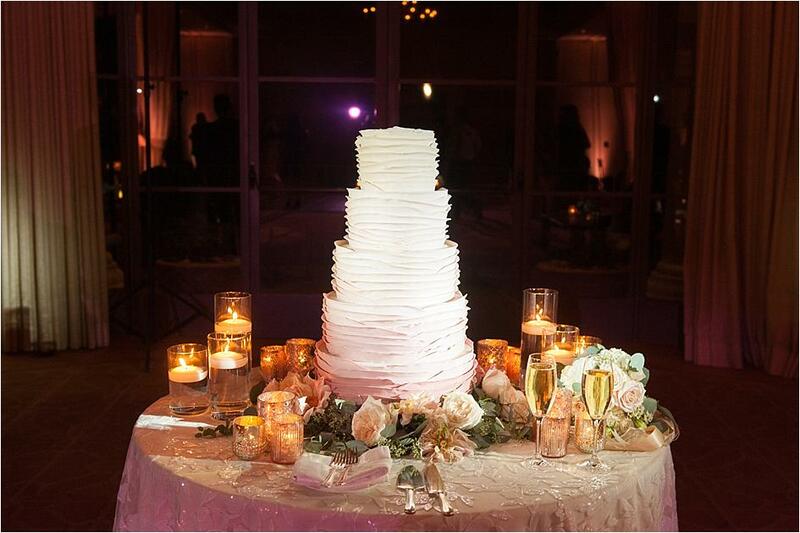 Virginie and David cut into a gorgeous five-tier wedding cake from Simply Sweet Cakery and celebrated their marriage with their family and friends.